A Swedish-German team of researchers has cleared up a key process for the artificial production of silk. With the help of the intense X-rays from DESY&apos;s research light source PETRA III, the scientists could watch just how small protein pieces, called nanofibrils, lock together to form a fibre. Surprisingly, the best fibres are not formed by the longest protein pieces. 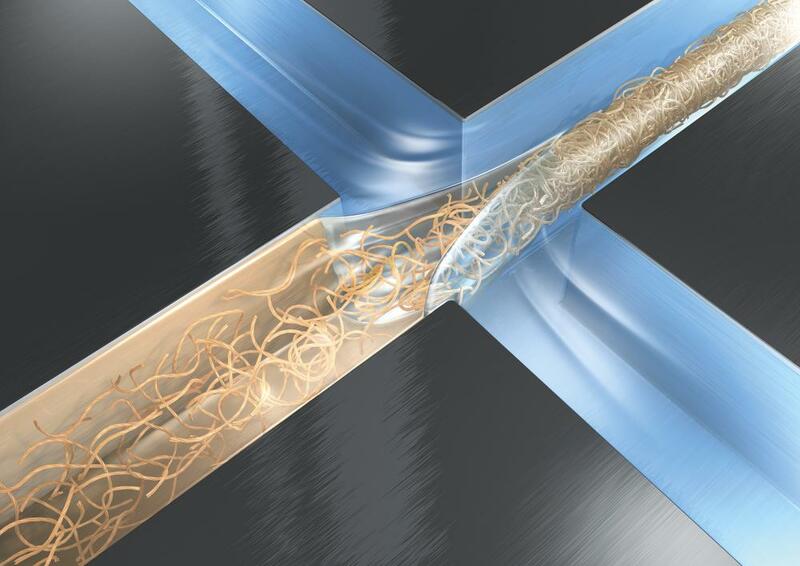 Instead, the strongest “silk” is won from protein nanofibrils with seemingly less quality, as the team around Dr. Christofer Lendel and Dr. Fredrik Lundell from the Royal Institute of Technology (KTH) in Stockholm reports in the Proceedings of the U.S. National Academy of Sciences. However, imitating nature proved especially hard in the case of silk. The Swedish team focuses on self-assembling materials. “That&apos;s a quite simple process,” explains Lundell. 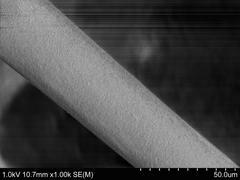 “Some proteins assemble themselves into nanofibrils under the right conditions. A carrier fluid with these protein nanofibrils is then pumped through a small canal. Additional water enters perpendicular from the sides and squeezes the fibrils together until they stick together and form a fibre.” The latter process is called hydrodynamic focussing, and Lundell&apos;s team has used it before for producing artificial wood fibres from cellulose fibrils. “In fact, the process has several similarities with the way spiders produce their silk threads,” says Lendel. In the new study, the nanofibrils were formed by a protein from cow&apos;s whey under the influence of heat and acid. The fibrils shape and characteristics strongly depend on the protein concentration in the solution. At less than four per cent, long, straight and thick fibrils form. They can be up to 2000 nanometres long and 4 to 7 nanometres thick. But at an only slightly higher protein concentration of six per cent or more in the initial solution, the fibrils remain much shorter and thinner with an average length of just 40 nanometres and a thickness of 2 to 3 nanometres. Also, they are curved looking like tiny worms and 15 to 25 times softer than the long, straight fibrils. In the lab, however, the short and curved fibrils formed much better fibres than the long and straight fibrils. With DESY&apos;s bright X-ray light, the researchers could find out why: “The curved nanofibrils lock together much better than the straight ones. The X-ray diffraction patterns show that they largely keep their rather random orientation in the final fibre,“ says Roth, head of the beamline P03 at PETRA III where the experiments took place. In their experiments, the researchers obtained artificial silk fibres that were roughly five millimetres long and of medium quality. “We used the whey protein to understand the underlying principle in detail. The whole process can now be optimised to obtain fibres with better or new, tailor-made properties,” says Lendel. This way, the results of the study could help to develop materials with novel features, for example artificial tissue for medical applications.